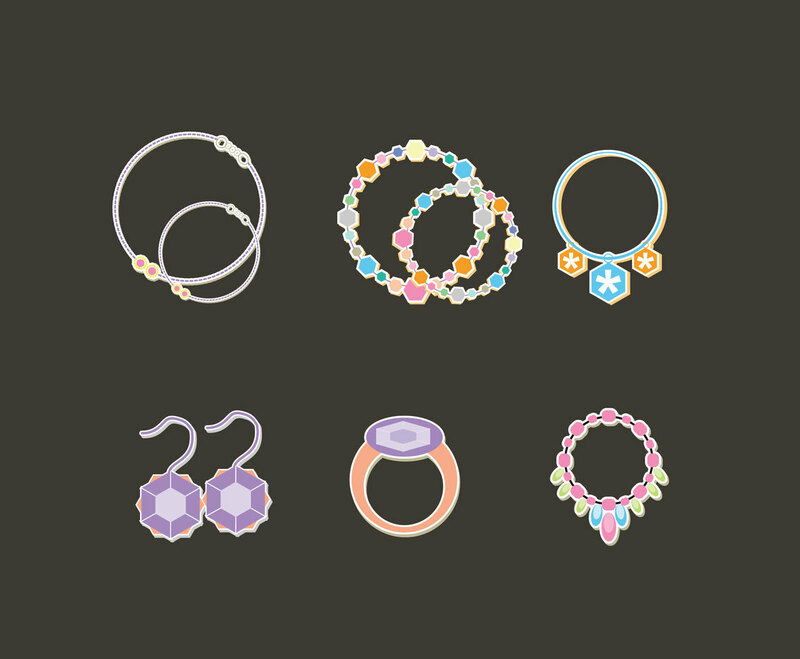 Here are various type of girly accessories illustration. There are a few colorful bead bracelets and necklace, a ring, and a pear of earrings. This could be good as design element in your branding identity, especially when you have shop jewelry, girl fancy shop, or bead accessories shop.